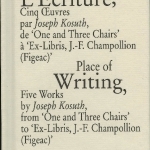 The artist Joseph Kosuth designed the Place des Ecritures – Ex Libris J-F Champollion (Figeac). 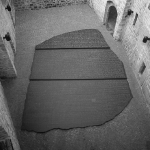 It was created in 1990, commissioned by the Ministry of Culture and Communication and the town of Figeac for the bi-centenary of the birth of Champollion. 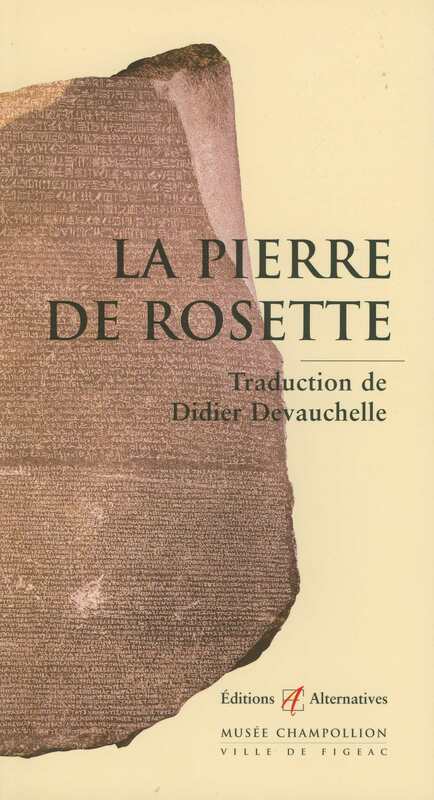 Behind the house where Champollion was born, Joseph Kosuth placed his creation : a huge slab of black granite which is an exact enlarged reproduction of the Rosetta stone (11 x 8 m) The translation of the text of a decree of Ptolemy V Epiphane is engraved on the glass door of an adjacent vaulted cellar. 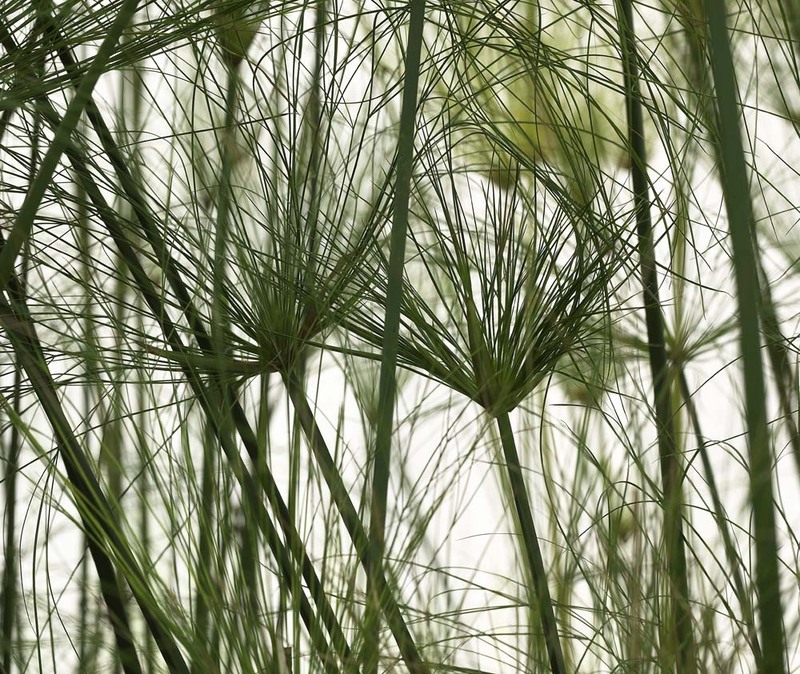 Terraced gardens evoking the land of the pharaohs, planted with papyrus, tamarisk and Mediterranean essences, overlook the area. 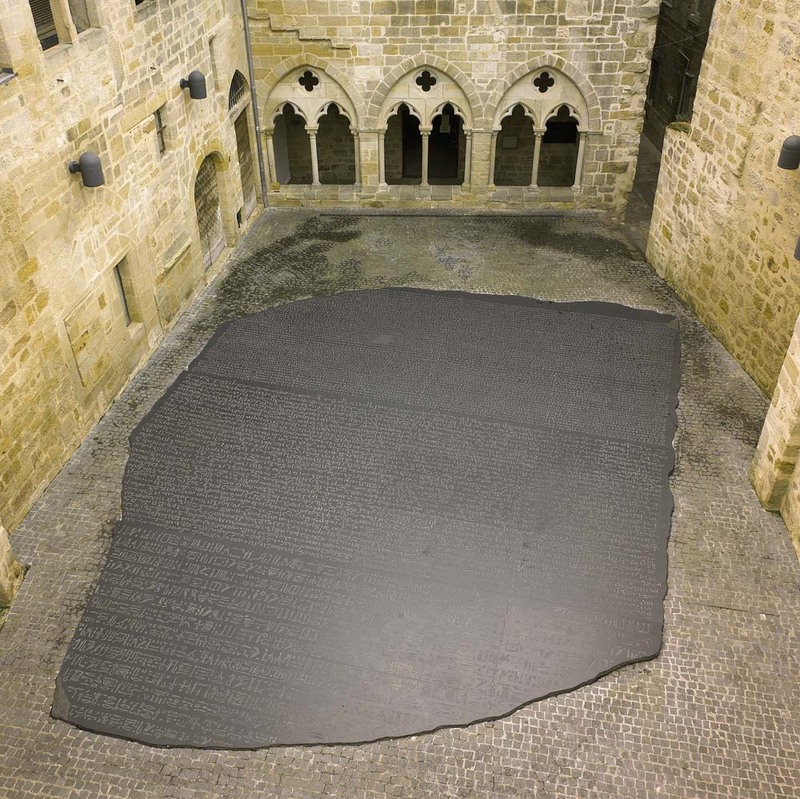 Joseph Kosuth’s Rosetta stone fits into the architecture of the medieval town just as the writing on the stone is intimately linked with language and geography. 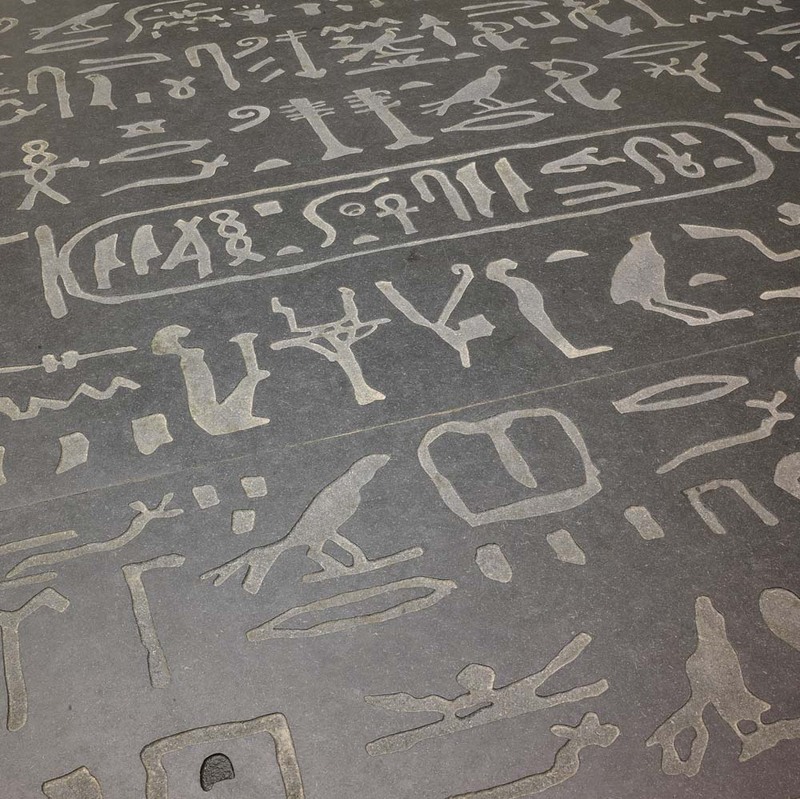 The three scripts : hieroglyphic, demotic and Greek expressing two languages are placed at ground level and shed an unusual light on the signification of words and language, a subject at the heart of Kosuth’s work. 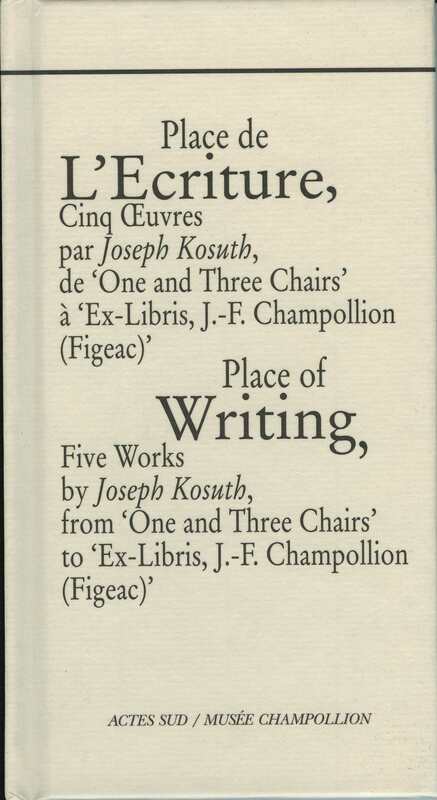 Pioneer of conceptual art and artistic installations, Joseph Kosuth started in the sixties to produce work based on language; setting up installations for different approaches to art. 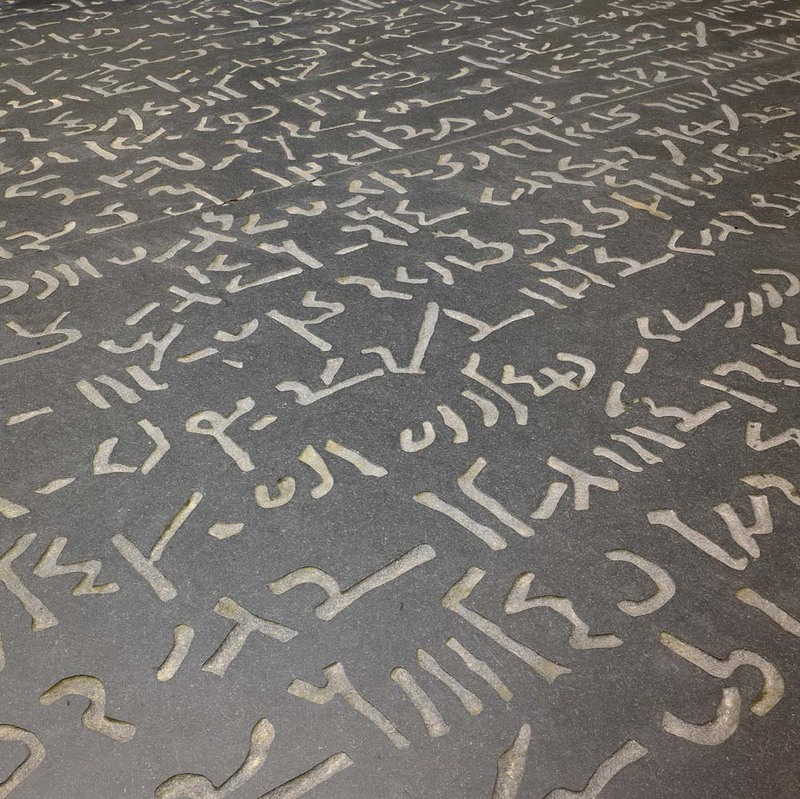 His works invariably explore the role and meaning of language. 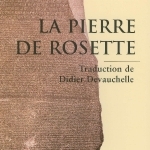 In the course of 30 years his study of art and language had led to several installations, public commissions and publications in Europe, the USA and the Far East. 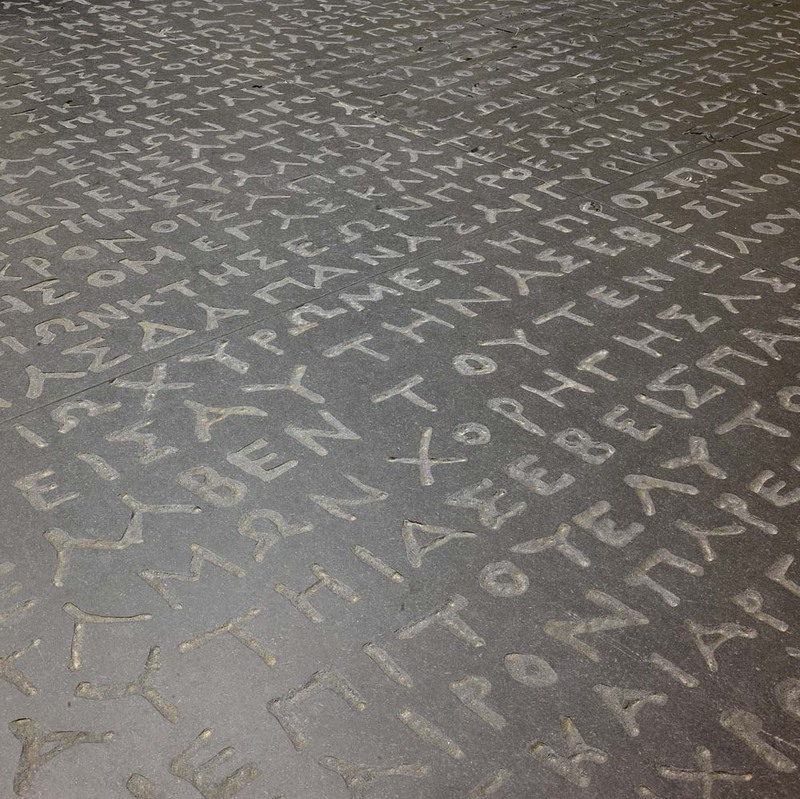 He has been present at five Documenta and four Venice Biennales where his work was shown in the Hungarian pavilion (1993). Figeac’s situation between Auvergne and Quercy explains the exceptional development of the town during the Middle Ages. Taking advantage of the commercial thoroughfares crossing the south of France, the town, a halt on the Way of St James, prospered thanks to the fortunes of its inhabitants. The historic centre still reveals the homes and urban palaces belonging to the businessmen of the 13th and 14th centuries. More than just the open lofts “solelho” and Renaissance galleries, the evolution of the sandstone architecture between the 12th and 19th centuries can be retraced thanks to the beautifully decorated facades which place it alongside other medieval treasures such as Cluny and Cordes. 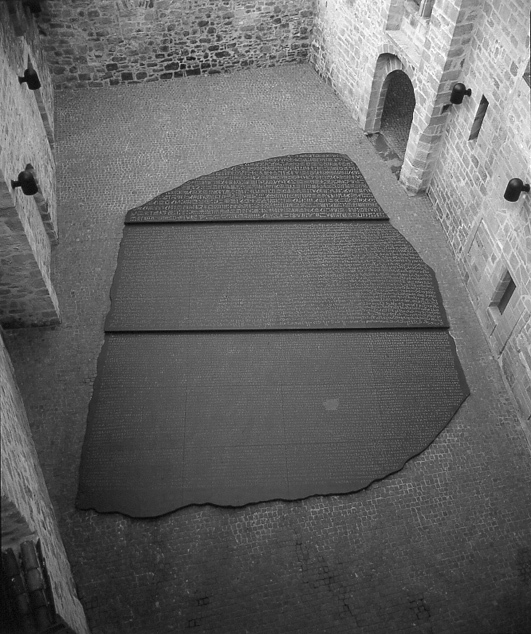 The label “Ville d’Art et d’Histoire” was awarded to the town in 1991 by the Ministry of Culture and Communication and the designation “Grand Site Midi-Pyrénées” rewards the town’s policy of conservation which includes works of contemporary architects such as Kosuth’s Place des Ecritures and Marc Mimram’s footbridge crossing the Célé river.